This was a good read. I really liked Tere – she’s the kind of character I could imagine myself being friends with in real life. I also identified with her – I was painfully shy when I was younger so I (unfortunately) recognized the fear she felt in certain situations! I liked the arc her character went through in the book to discover her ‘voice’ – it was this aspect that held my interest. The impact this had on her relationship with her mother was interesting to read as well. There wasn’t as much romance in the book as I thought there was going to be – so I was a little disappointed in that respect - and I found the songwriting contest to be a bit unrealistic in contrast to the rest of the story – but I think it worked overall. 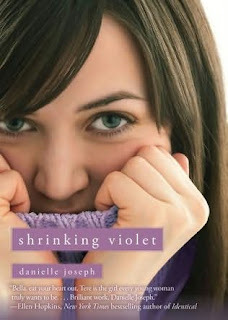 I really like how Danielle Joseph writes and I think she is definitely an author to watch. I will be keeping my eye out for her next novel. I think I'd really love this book. Great review - thank you very much! Great review! This sounds like such a cute read.